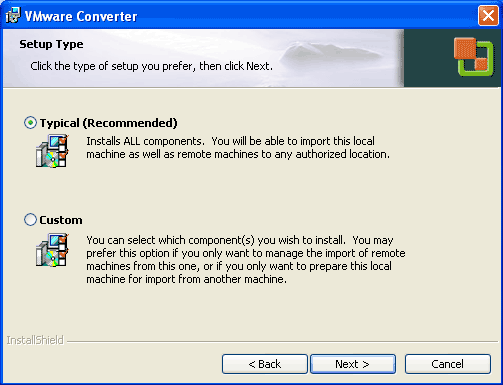 In this article I will convert a Windows XP desktop into a virtual machine. 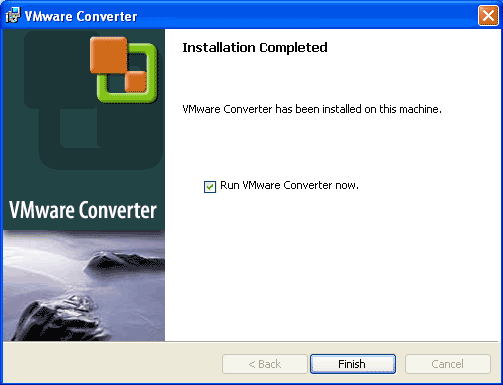 Afterwards I will start the virtual machine in VMware Server. 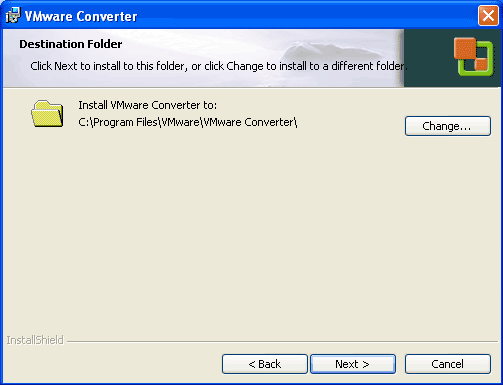 First download VMware Converter from http://www.vmware.com/products/converter to your Windows system (the one that you want to convert into a virtual machine) and start the installation by double-clicking on the downloaded file. Just an FYI here. 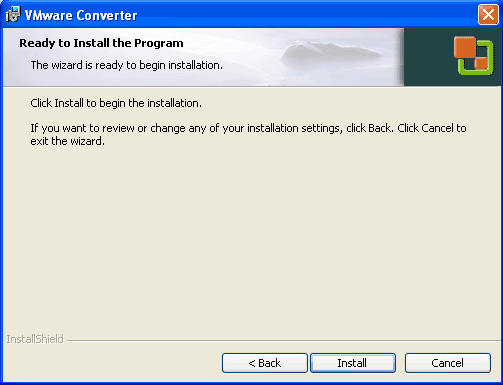 The converter will not work if the only drive you are converting is SATA. It creates a VM that will not boot. 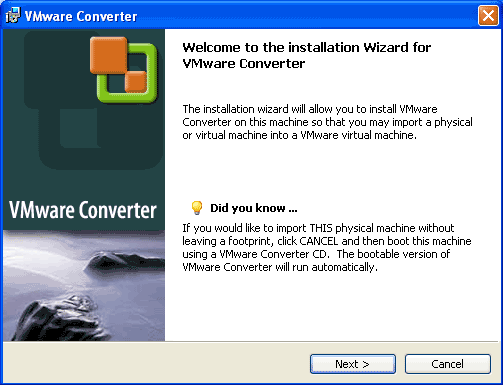 VMware Converter does not run in Windows NT 4. Version 4.0.1 lists that it will work on NT SP6+ and 2000. Hi, just a comment regards the legal implications of running Windows as a virtual machine. I was reading the license terms of Windows Vista Home which was preinstalled on my quad core machine and I noted apparently Vista Home was only licensed for machines with dual core processors and not to be installed under a virtual environment. So are some versions of Windows legal for use under virtual machines and other versions not. Though perhaps the license terms were just well out of date as was the case with XP I believe. I moved to Ubuntu for two reasons: The power supply on my existing XP machine failed and I was handed a new dual-core machine. Here's the problem: The XP partition (drive C) is on an IDE 160 GB disk. The new computer does not have a plug-in for an IDE disk. So how do I virtualize a Win XP partition that is not running? Is it possible?